Dr. Taylor Wallace has over 15 years experience in the food science and nutrition field. He has a track record of developing and executing successful large public health campaigns and strategies that are based on rigorous, reproducible and credible scientific research. Dr. Taylor Wallace is a sourced expert in many national print, online and TV media outlets such as the Dr. Oz Show, NBC4 Washington, and The Washington Post, among others. 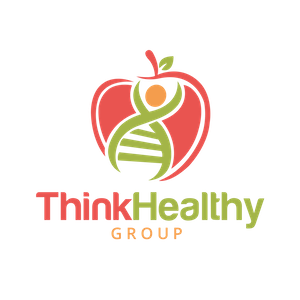 Dr. Wallace provides these services through his consulting firm, Think Healthy Group, Inc. Download a copy of Think Healthy Group’s capabilities deck and his personal curriculum vitae, which also contains all conflicts of interest. View and download his recent scientific textbooks and publications and scientific presentations. Note: Dr. Taylor Wallace has received and welcomes funding by the industry for scientific research. However, the funding body will have no role or influence on the study design; the collection, analysis, and interpretation of data; the writing of the report; and the decision to submit the manuscript for publication in a peer-reviewed journal. Guiding principles for scientific integrity as outlined by the American Society for Nutrition will be strictly followed at all times. It is the policy of Think Healthy Group to publish results of all research, regardless of the outcome. Click here to contact Dr. Taylor Wallace directly.